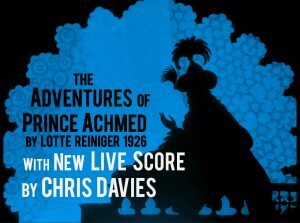 Reel Solutions are distributing The Adventures of Prince Achmed with live accompaniment. The earliest surviving animated feature film – preserved in the BFI National Archive – it has been hailed as one of the world’s most innovative and influential animations. Three years in the making, made in card, cut entirely by hand, Reiniger’s exquisite shadow characters move intricately through colourful worlds of demons, witches, beautiful princesses and flying castles. The Adventures of Prince Achmed Trailer from jack lockhart on Vimeo.